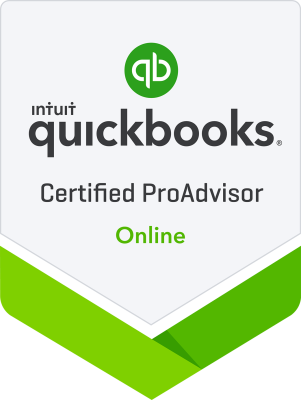 Certified QuickBooks Online ProAdvisor Accountant with over 15 years in the field with 10+ years in the Manufacturing sector as a Controller. I can help you remotely or keep your Accounting books altogether, including A/P, A/R, and Financial Statements (P&L, Balance Sheet, Statement of Cash Flows) with one of my service packages to help you manage your books properly. Simply call or email me to invite me to be your accountant and to help set up your QuickBooks Online account. View VALUE Pricing Packages below. DIAMOND Package includes FULL Tax Projection and Planning Module. Full-service Payroll provider, offering competitive pricing. Simple Payroll Processing but do have rugged software solution(s) that include HR and Retirement paperwork modules, if necessary. We take away your Payroll PAIN from the beginning of the process to the end, including Set-up, PayDay, Quarterly Taxes, W2 Processing, and Annual Wage Reporting. Includes Direct Deposit and online paystub viewing services for their employees. You can be as involved as you want with my Payroll service or not at all, leaving it to me so you can concentrate on the business; however, each clients receives customized, individual service. Integrates seamlessly with several Accounting software packages. Offering Tax Planning to be proactive! IRS-approved Registered Tax Return Preparer since 2001, professional corporate and personal Income Tax Returns. Included with all packages with an emphasis on saving you money by lowering your tax bill through Tax Planning (included in higher packages or as an add-on) My service is accurate, efficient, and competitively priced. We believe in Doing It Right the First Time with this and all the services we provide. ON AVERAGE: We save our clients 125 HOURS each year so they can focus on running their business AND $20K each year that can back into their business or family! As a business owner, two of your most precious commodities are time and money. At BBU, we are committed to finding ways to save you both. Whether your goal is more time to spend with and grow your client base OR more money you can put back into your business, below is a list of ways our services will help you get more back. *** Setup and manage complex payroll systems for you and your employees. *** Correspond with state and federal tax authorities regarding payroll and tax returns whether by phone or mailed notices. *** Spend hours preparing your own tax returns and wonder if there are strategies you can use to reduce your tax bill each year. *** Spend time each week or month reviewing and categorizing all of your bookkeeping transactions than stress over whether you are doing your books correctly. *** Pay full retail price for software you need to run your business. *** Go to multiple sites with multiple logins to access all your business data. quarterly and annual tax filings required by state. prepare letters or phone calls as needed on your behalf. show you how to significantly lower your tax bill. have access anytime to your bookkeeping file where you can run reports and easily monitor your business' success. *** Get you insider software discounts from QuickBooks Online to other accounting-related software. We love sharing trade discounts! The Basic Package and Service Starts as Low as $229/Month. Answer some basic questions particular to your business, choose some Incredible Value-Added Services from our Menu to truly customize YOUR Accounting Package and get a clearly defined and fairly priced Estimate. ONLY takes a matter of minutes for you to Create YOUR VERY OWN Package!! All core packages come with 1 State return filing. Should you need to file in multiple states, be sure and add this service to your package. This is the part of the website where I disclaim. You can read the necessary disclaimers on the forms themselves, so included on this page is a Sample Copy of the Accounting Services Agreement, as well as the Credit card Authorization Form. I have my MBA in Business Administration with the core of my course work in Accounting, Payroll, Payroll Taxes, Payroll Reporting, and preparing Income Tax Returns. As such, my work experience reflects that with over 15 years in the Accounting field with over 10 years as a Controller in the Manufacturing sector. I have been working on and within Payroll for over 12 years in all environments, including 10 years inside a Union environment. SIGN UP Below to Get Started--Accounting, Payroll, and Tax Planning and Prep. Our firm is based on the use of cutting-edge technology. QuickBooks Online, Tax Planning, and Client Portal are just a few of the modules we will use to execute our agreement. If you like automation and simplicity, while helping our environment by saving trees and going paperless as much as possible, our business owner packages above are the solution for you! We gladly accept Cash, Check, Credit Card, or PayPal payment through [email protected] or my PayPal.me Link . Thank you for considering our service. We look forward to serving you!